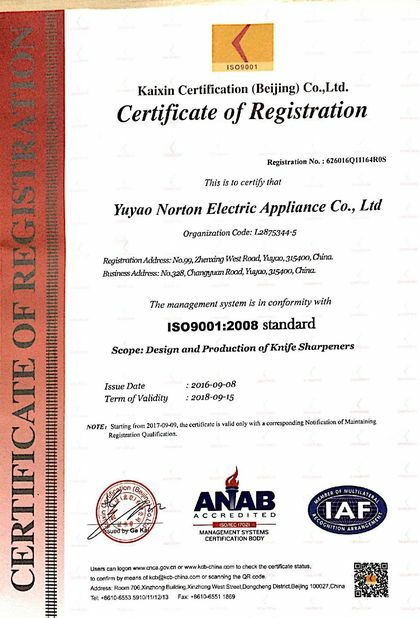 Widely used for Kitchen knives, chef knives, fruit knives, bread knives , etc. 2. 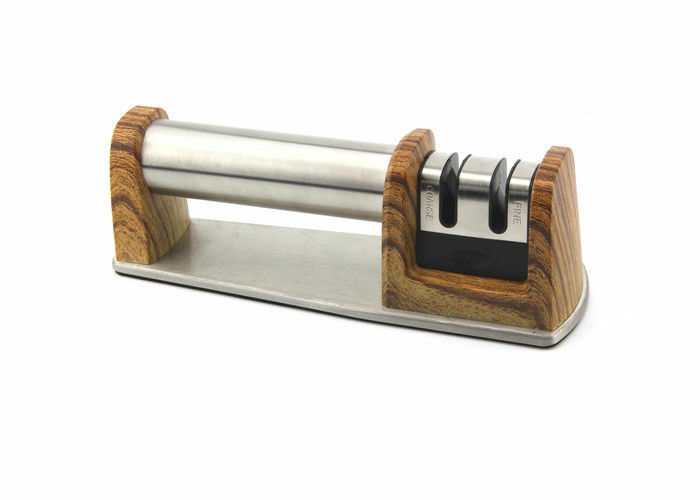 Unique sharpening wheel design, convenient to sharpen back and forth. 3. Non-slip rubber feet and ergonomically designed handle for comfortable and secure. 4. 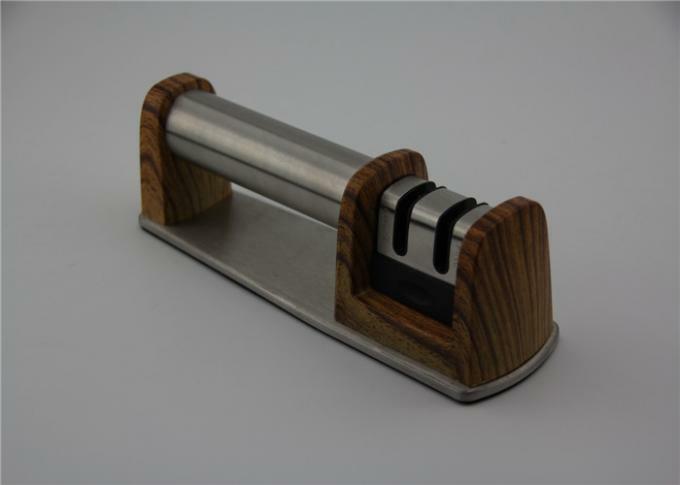 Classic model and stainless steel handle adornment highlights fashionable home style. 1.Place the knife sharpener on a stable surface when using. 2.Complete one or both of the following steps depending on how blunt the blade is. 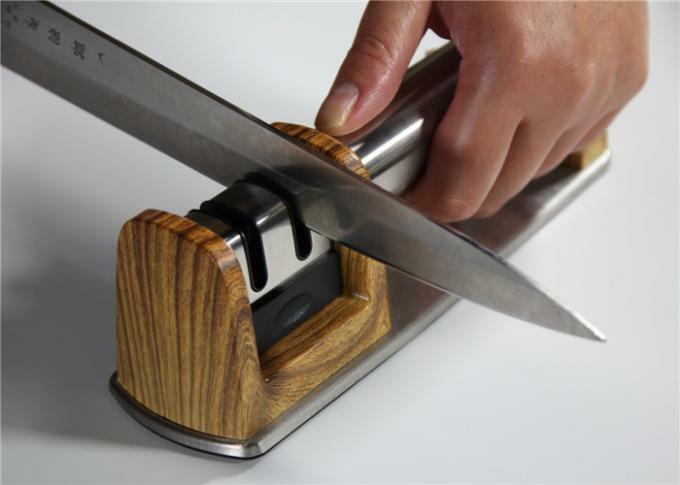 3.Clean the knife with the water or wiper and dry it after use; clean the knife sharpener with non-abrasive brush.